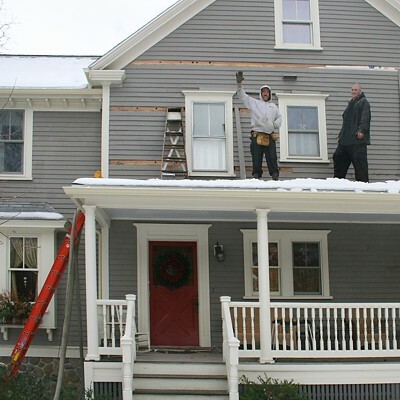 Hire our experienced team to install blown-in fiberglass insulation to retrofit older homes. 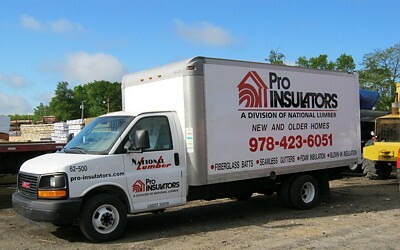 We guarantee that our professional installation team will get it done right and done quickly. Renovating older homes should always include upgrading the insulation, ideally while walls are open inside the house. 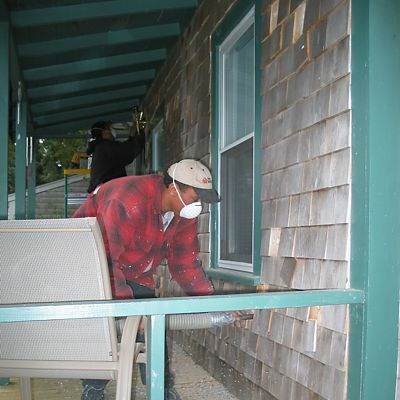 But if necessary, it can also be done from outside by drilling holes and blowing insulation into the walls. Our experienced teams will get the job done quickly and you can be certain it is done right by professionals. Shingles on this older home are carefully removed, holes drilled, insulation blown-in, then the shingles are put back in place.